Most of us take a daily multivitamin (okay, try to remember to take a multivitamin), but if you want great skin, you need to think getting them in your skincare regimen and making sure your diet's packed full of them, too. Vitamins aren't just to ward off a cold—they can offer protection against pollution, repair free-radical damage and help combat fine lines and wrinkles. Essentially, if you name a skin problem, there's a vitamin for that. Taking a two-pronged approach with both products and diet will give you a double-shot of natural nutrient goodness and help give you the healthy, glowing skin of your dreams. Of course, there are innumerable vitamins for skin out there, and even more products all vying for space in your bathroom cabinet. Knowing which vitamins your skin needs and in what concentrations can be something of a minefield, so we've enlisted a few pros to help you navigate it all. Maryam Zamani, MD, is a leading aesthetic doctor whose academic credentials show she means business, and Debbie Thomas is a skincare expert with a keen understanding of how what we eat affects how we look (and a buzzing London clinic to boot). Shona Wilkinson, CCN, is a nutritionist who trains other nutritionists, so she knows a thing or two about how to eat right for life. Scroll down for their top tips on which vitamins to load up on and where to find them, from serums to sweet potatoes. 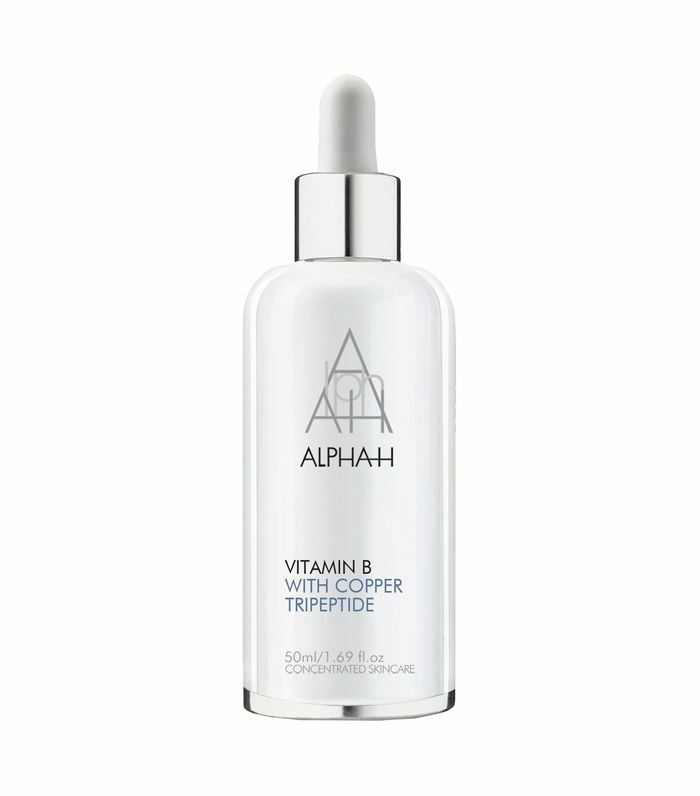 Vitamin A is truly a powerhouse for both anti-ageing and acne care—win-win. "Retinol is derived from vitamin A, and it's truly brilliant for a range of skin concerns," Zamani says. "It increases cell turnover, stimulates collagen and elastin production, and even fades pigmentation. Products with retinol can treat and prevent everything from cystic acne and eczema to wrinkles and dark spots caused by sun damage." 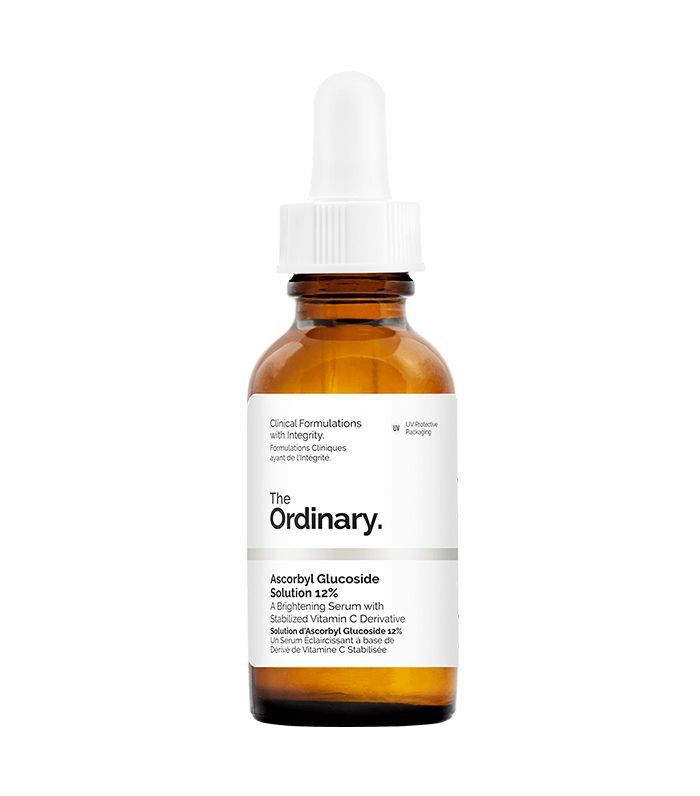 But not all retinols are created equal. 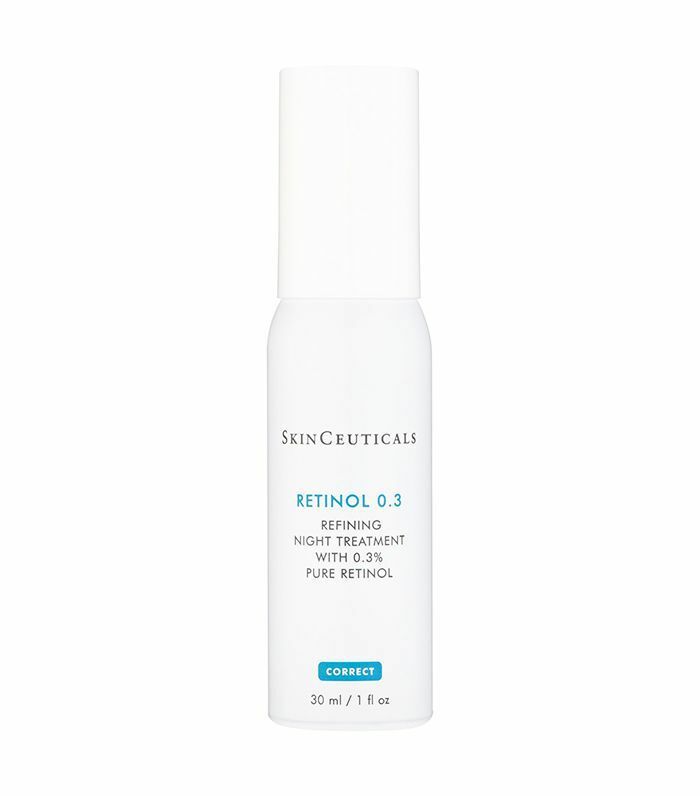 "When choosing a retinol, be sure to select the correct percentage for your skin type and concern. Your skin will need to acclimatise slowly to retinol, especially if it's sensitive. Start with a low percentage such as 0.025%, or 0.25% for most skin types. For tougher skin with more signs of damage, such as pigmentation or wrinkles, you may wish to use 1% to 2% once your skin can tolerate it," Zamani says. Wilkinson adds, "Vitamin A is really important for good skin health. If you are deficient, you'll notice dry and scaly skin. You can get vitamin A from your diet in two ways: vitamin A and beta-Carotene. Vitamin A can be found in foods such as beef, liver, eggs and dairy products. Beta-Carotene, on the other hand, is converted into vitamin A in the body. Food sources include carrots, sweet potatoes, spinach, kale and apricots. Think of orange food! Try to include a portion of one of these foods in your diet every day for good skin health." Vitamin B, or niacinamide, has been gaining popularity in recent years as more is discovered about its potent anti-ageing properties. As Thomas told us, "Topically applied, Vitamin B is hydrating and anti-inflammatory. It's also beneficial when trying to brighten and even out skin tone." It also boosts skin's elasticity, making it ideal if you're running low on sleep and you feel you need a bit of a complexion refresh. She added, "Oatmeal, rice, eggs and bananas contain vitamin B complexes, which include biotin, a key ingredient in the development of nail, skin and hair cells. A vitamin B deficiency in your diet can cause dermatitis or lead to hair loss," while Wilkinson noted, "Vitamin B3 when eaten provides protection for the skin. There's even some research to show its benefits in reducing the risk of skin cancers. Try turkey, mushrooms, peas, chicken, peanuts, sunflower seeds, avocado and tuna." Forget about those saccharine-sweet effervescent tablets—vitamin C can do a lot more for you than just perk you up after a late night. As Thomas told us, "When used on the skin, vitamin C can help collagen production, soften wrinkles, improve skin texture and reduce sun damage, as it's an antioxidant. Antioxidants neutralise free radical damage caused to skin cells by daily stressors like pollution, UV rays, stress and the light from screens." If you want to add some into your diet as well as your skincare regimen, Wilkinson had the following words of wisdom: "Everyone thinks of oranges as the best source, but other amazing foods rich in the vitamin include peppers, spinach, kale, broccoli, kiwis, strawberries and peas" (which is good news if you don't like citrus). She added, "You really can't eat too much vitamin C, so include these in your diet as much as possible, as they contain nutrients good for overall health as well." 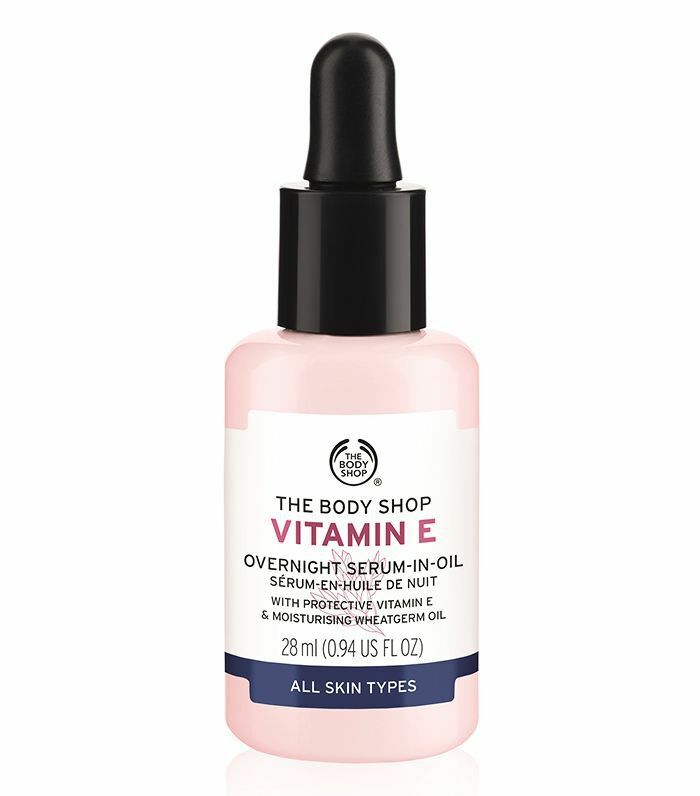 There's a reason vitamin E is so well-loved and widely used. Not only does it provide superior hydration, it's also a one-way ticket to seriously juicy skin. "It locks in moisture and boosts collagen production to reduce lines and wrinkles, and it aids the barrier function to protect the skin. It's excellent to moisturise and protect against UV rays, which is particularly important when you think about sun exposure because UV light can destroy half of our skin's natural reserves of vitamin E," explains Zamani. "There should be a minimum of 1% for it to be effective, and you could use it in a serum or cream." As for eating, Wilkinson advised, "Good food sources of vitamin E include almonds, spinach, avocados, sunflower seeds, butternut squash and extra-virgin olive oil. These are all healthy foods so try to include them in your diet every day." Vitamin K is one you might not have considered in the past, but trust us, you really don't want to sleep on it. As Thomas explained, "Vitamin K is anti-inflammatory, which makes it perfect to use topically to help with dark circles around the eyes. It's also really good on discolouration like sun spots, and it could also help with wrinkle reduction and speed up the healing of bruises." Um, who among us doesn't struggle with dark circles? (Gisele, look away now.) It's great for increasing the microcirculation under the eyes, which makes it one of the few ingredients that can help with those pesky bags. Thomas also advised that you can find vitamin K in dark, leafy greens like spinach and kale, so don't put down the green juice just yet. Next up, these are the best drugstore foundations you can buy.